The full video that I created for the app update. 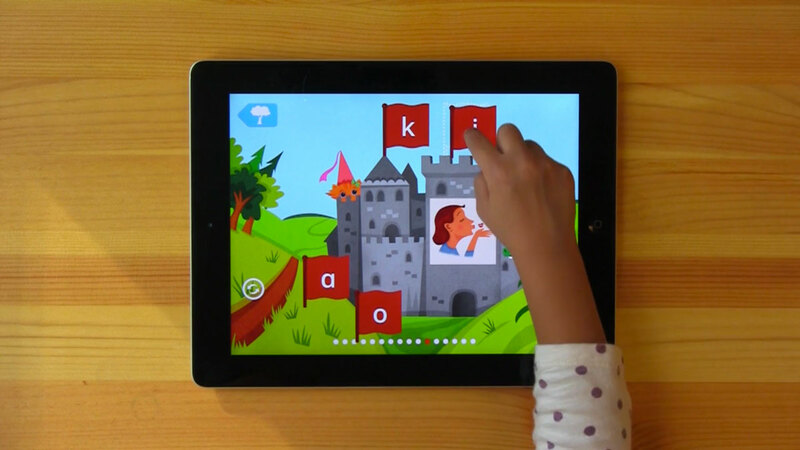 It starts with a pan showing that First Readers live in the Story Time section of the app, and then shows how they build on the preceding Learn to Read phonics-based spelling and reading games to take kids from practicing reading skills to reading and recording their own stories. 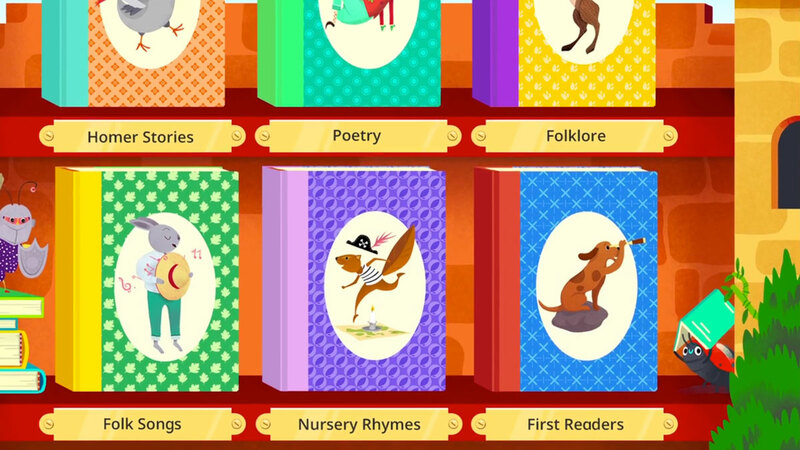 Confession: this zoom on the Story Time menu starts the video to show the first readers in the context of the existing library. Although in that respect it plays an important role in the video, it is my least favorite moment of the video. If I were to do it over again, I'd change it to footage of a child—but I created this video in a weekend, so there wasn't time to bring kids in for a second take! This is one of the spelling games in Learn with Homer. At this point of the video, I'm setting up the idea of learning to read through practicing skills.